Conclusion – Is The Behringer Ultragain Pro Mic2200 Worth It? Getting the best possible sound out of your microphones is very important. You want to be able to make sure that things sound perfect when you are getting ready for a big event or performance. The microphone itself needs to be high-quality in order to produce the best results but having an excellent pre-amplifier can make a big difference as well. If you have been looking for the best pre-amplifier for your microphones that is currently on the market, then you have probably seen that there are many different options. The abundance of options makes it difficult to whittle things down and make a choice. Thankfully, you can get some good information ahead of time so that you can make an informed purchasing decision. 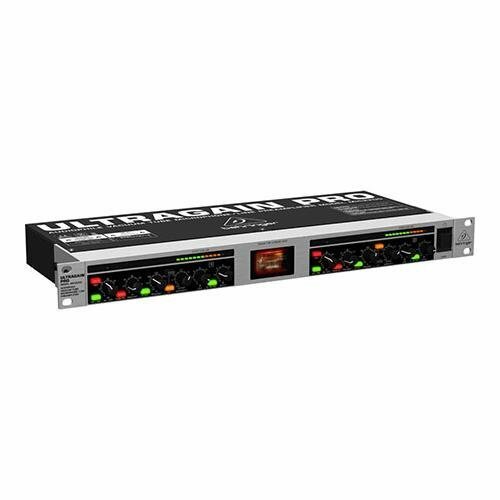 One of the microphone pre-amplifiers that you will want to consider is the Behringer Ultragain Pro Mic2200. 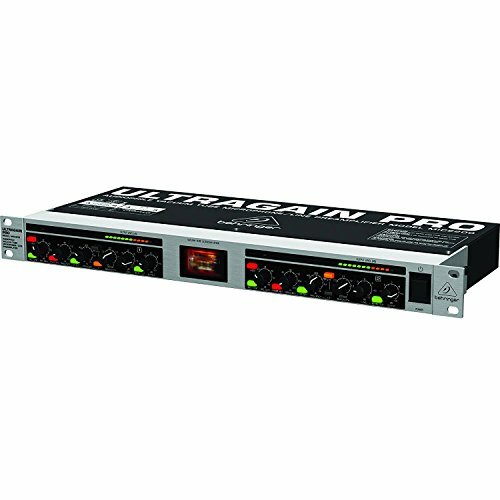 This unit is a very capable one that is proving to be a very popular tool for many musicians. It has a very wide appeal and should work well for both amateurs and professionals alike. This is something that could be considered professional-grade due to its overall quality. Despite this, the price of the unit is actually very reasonable. The Behringer brand is known for making good products at reasonable prices so it makes sense that their premier microphone pre-amplifier offering would follow suit. This is going to appeal to musicians more than anyone else. If you are an amateur musician or you are a professional, you will be able to make good use of this pre-amplifier. It can help you to get the best sound out of your microphone so that any performance will turn out right. This could be useful in the studio too so it is definitely going to come in handy for all of your musical endeavors. Touring musicians will love this microphone pre-amplifier as it is reliable and easy to tote around. This is a fully featured pre-amplifier that gives you a great deal of control over your sound. You can make sure that your voice is coming across in the proper fashion when you have this pre-amplifier to rely on. It works nicely without forcing you to spend an outrageous sum of money on new equipment. It will also appeal to churches for similar reasons. Churches make use of microphones all the time to help their services turn out properly. A good pre-amplifier will help the microphones to sound their best. This is going to be worthwhile for worship music and it will also be very nice for sermons. Being able to tinker with the sound levels and particular settings will make a difference and this pre-amplifier will prove itself to be worthwhile. You are not going to find any extras in the box when you order this product. The package will simply contain the microphone pre-amplifier that you are looking for. That being said, you may need to order some additional cables in order to make use of this properly. Depending on what you already have in your possession, you may want to order some microphone cables and possibly other connectors, depending on the type of setup that you are using. The ultra-wide bandwidth of this unit helps to provide you with a very open sound. It can operate at anywhere from 10 Hz to 200 kHz so you know that you are going to get the dynamic range that you are looking for. When you want your microphones to sound nice, this is going to be a very worthy pre-amplifier to make use of. It works well and it is very simple to use too. It should also be noted that this unit has ultra-low noise to keep things as quiet as possible. You won’t have to worry about whether or not this pre-amplifier is going to be discreet. The hand-selected 12AX7 tube helps to provide you with the perfect musical sound that you are going for. It makes it a perfect choice for any type of musical gig. The controls are very sophisticated but easy to use. You can count on the integrated fully parametric equalizers to work superbly. They have a dedicated center frequency, bandwidth, and lever controls. This offers you the amount of control that you need to ensure that things sound just right. You can even make use of the independent line driver for converting -10 dBV into +dBu for truly professional-level tinkering. Anyone who is looking for a professional-grade pre-amplifier will be pleased with this unit. It works well and offers you a ton of different features. There is a lot to take in but it all works very smoothly, making it a very user-friendly pre-amplifier. If you want to consider an alternative option, then the ART TPS II Tube Pre-Amplifier system might be your best bet. This is comparable to the Behringer offering but is a little bit more expensive. It does allow you to dial in the sound to a greater degree, though. At nearly double the price, you are going to have to determine if the improved customization options are enough to make it worth your while. This unit does work quite well and will be a great microphone pre-amplifier if you are in need. The Behringer is going to be the more cost-effective option and the features of the two are quite close. Overall, the Behringer is likely the better value but you should take a close look at the features of both to ensure that your needs are being met. It won’t take too much time and you will be able to know that you are buying the right pre-amplifier for you. The Behringer Ultragain Pro Mic2200 is a great microphone pre-amplifier. If you want to be able to use a pre-amplifier for your sound setup, then this is a very affordable one to get. It costs a reasonable price and will give you good results. You can improve the sound of your microphones to ensure that your music, speeches, or other live event needs are met. This microphone pre-amplifier will work well in the studio too. It’s a very useful tool that any musician will love to own. Keep it in mind if you are in need and want to find a cost-effective option. It works just as well as many more expensive options and even puts some of them to shame.